The Pope is planning to rehabilitate Martin Luther – whose actions instigated the Protestant Reformation – by arguing that he did not intend to split Christianity but only to purge the Church of corrupt practices. Benedict XVI will issue his findings on the 16th-century German theologian after discussing him at the papal summer residence, Castelgandolfo, during his annual seminar of 40 fellow theologians, the Ratzinger Schülerkreis. Luther was and condemned for heresy and excommunicated in 1521 by Pope Leo X, who had initially dismissed him as “a drunken German” and predicted he would “change his mind when sober”. 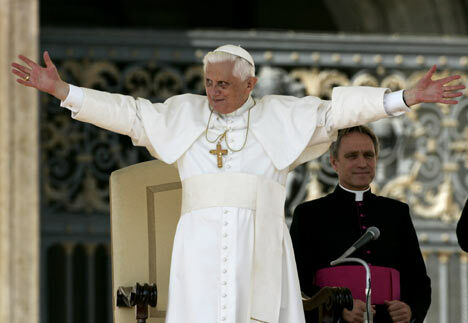 Vatican insiders say the 80-year-old Pope – himself born in Germany – will argue that his countryman was not a heretic after all. The move, a month ahead of the third anniversary of Pope Benedict’s election, is aimed at mending fences after July’s blunt papal statement that the Protestant and Orthodox faiths are “not proper Churches”. “We have much to learn from Luther, beginning with the importance he attached to the word of God,” said Cardinal Walter Kasper, head of the pontifical Council for Promoting Christian Unity. The cardinal added that the time had come for a “more positive” view of Luther, who could now be seen as having “anticipated aspects of reform which the [Catholic] Church has adopted over time”. This summer’s seminar will look at the issue of apostolic succession, through which the apostles passed on the authority they received from Jesus to the first bishops – and hence, via St Peter, to the papacy. Some scholars have suggested recently that Luther did not share the view of some Protestants during the Reformation that the concept of “succession” referred only to God’s Word and not to church hierarchies. Luther, born in 1483, was appalled on visiting Rome in 1510 to witness the wealth, worldliness and corruption of the papacy. He insisted that the Bible, not the Vatican, was the sole source of religious authority – and to underline his point he translated it from Latin. 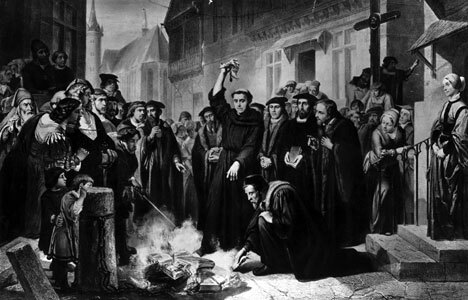 In the famous 95 Theses which he nailed the door of a Wittenberg church in 1517, Luther attacked the practice of selling papal “indulgences” granting remission of sin. This act is generally regarded as the spark of the Reformation. The news of the re-evaluation of Luther comes hot on the heels of the revelation that the Vatican plans a statue of Galileo, the astronomer it once tried for heresy, for the fourth centenary next year of his invention of the telescope. Both are part of an attempt to soften Pope Benedict’s image as a hardline conservative. This week Muslim scholars met Vatican officials at the Council for Inter-Religious Dialogue in Rome to begin laying the groundwork for a meeting between the Pope and leading Muslims at Castelgandolfo. Pope Benedict has been accused of describing Islam as inherently violent and irrational in a 2006 speech at Regensburg University.